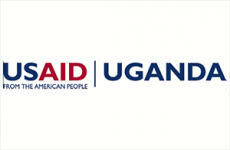 USAID’s Power Africa Uganda Electricity Supply Accelerator (the Power Africa Uganda Accelerator) Activity is funded by the United States Agency for International Development and seeks to rapidly increase the level of electricity access in the country through assistance for off-grid and on-grid energy solutions. The Power Africa Uganda Accelerator is currently looking to hire an electrical engineer to assist with identifying, facilitating and closing transactions for on-grid and off-grid power. This is a two-year position (conditional on funding). · Supporting the Chief of Party (COP) and other staff in technical discussions with the REA, ERA, UEDCL (“distribution company”), UEGCL (“generation company”), UNTCL (“transmission company”), other Government entities, donors and stakeholders. · Identifying and regularly updating technical due diligence associated with generation, transmission or distribution projects (off grid or on grid projects). · Supporting potential transactions through technical due diligence, implementation assistance or technical transaction assistance. · Identifying or assisting with appropriate environmental, licensing, regulatory or compliance guidelines and rules of the Government of Uganda, USAID, Power Africa, or other relevant donors. · Obtaining and evaluating up-to-date technical information on projects such as (but not limited to) grid maps, reliability data, financial feasibility or performance data from generation. · Accompany the COP and other staff on trips in Uganda or undertake trips independently to perform project work as needed. Trips are not expected to exceed five working days. · Build and maintain relationships with technical stakeholders in the energy sector including but not limited to Rural Electrification Agency (REA), Electricity Regulatory Authority (ERA), UEDCL (“Distribution Company”), UEGCL (“Generation Company”), UETCL (“Transmission Company”), other Government entities, donors and stakeholders. · At least five years of experience in electricity generation, transmission or distribution. · Ability to write concise technical reports such as Terms of Reference, Project Documentation, or Compliance Reports. · Experience with full MS Office suite. · Experience working with international donors, USAID, or other international energy companies. · Master’s Degree in Electrical Engineering or Master’s in Business Administration. · Experience working with REA, UEGCL, UEDCL, UETCL, project developers, EPC firms, or distribution companies. All suitably qualified and interested candidates should send their applications (only by e-mail) to info@pauesa.org. Candidates should attach their cover letters and CVs including at least three professional references.